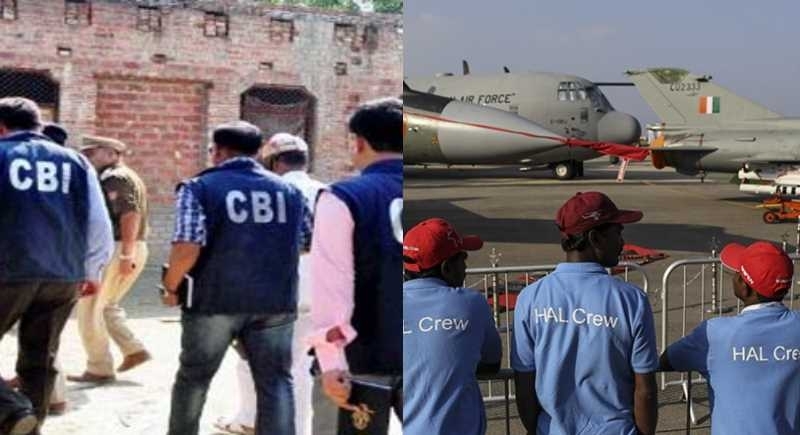 New Delhi, January 30: The Hindustan Aeronautics Limited (HAL) Vigilance Department had on Tuesday sent five complaints related to frauds committed from 2013 to 2017, said Central Bureau of Investigation. The Central agency (CBI), based on these complaints, has registered fresh cases against Bhaben Mitra, other staff members and private persons allegedly involved in the scam. The CBI has registered five cases against employees of HAL Engine Division at Koraput, Odisha for allegedly causing a loss of Rs 13.28 crore to the public sector undertaking, officials said Wednesday. The agency registered five FIRs against Mitra and other employees of Hindustan Aeronautics Limited (HAL), Koraput on Tuesday. The alleged cheating which started with Rs 13.11 lakh in 2013 touched a new height during 2017 when Rs 7.78 crore was siphoned off from the company using fake bills, they said. It is alleged that Bhaben Mitra, Senior Manager Finance, in conspiracy with other employees misappropriated amounts by committing forgery of documents, siphoning off Rs 13.28 crore from the coffers of the cash-strapped PSU during 2013-17. The CBI has also filed cases against the accused for misappropriation, cheating, criminal conspiracy, forgery, criminal misconduct and by public servants.